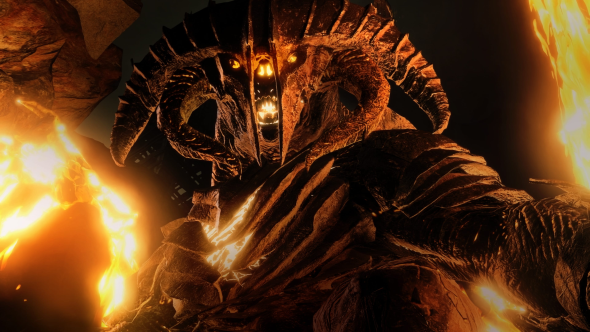 Middle-earth: Shadow of War studio Monolith hold an obscure honour among Tolkien game developers: since the film trilogy, theirs are the only games in the Middle-earth universe not to feature The Lord of the Rings or The Hobbit in the title. Read our Middle-earth: Shadow of War PC review for more on Monolith’s latest. That feels appropriate. 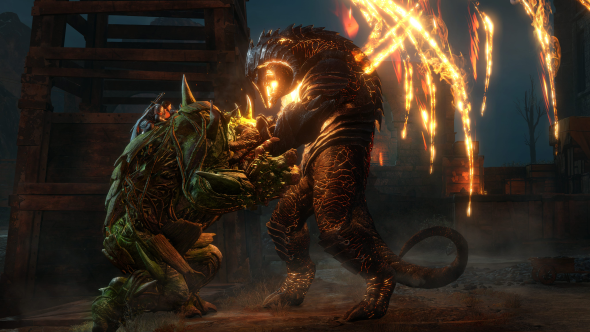 Where other Tolkien-based games have plotted a path close to the events of the movies, Monolith have boldly stepped out on their own. They have picked a time period between Tolkien’s two most famous stories – one empty enough to fill with their own yarn about a ranger resurrected by the Elven wraith Celebrimbor and a new ring of power. It is bold enough, frankly, that you would be forgiven for thinking that Monolith were not terribly fussed about what Tolkien did or did not write. Which is why it was a surprise to learn that they have a Tolkien scholar on staff: the author and editor Janet Brennan Croft. Croft has published books drawing parallels between Tolkien’s trauma in World War I and events in Middle-earth, and on the themes his work shares with Shakespeare. Now, she helps Monolith stick to the lore. It is telling that, when press raised eyebrows at Shadow of War’s womanly rendering of Shelob the spider, Monolith did not back away. Instead, creative vice president Michael de Plater explained, at great length, the studio’s interpretation of Shelob as an instrumental figure of darkness opposite Galadriel, as well as the spider’s parentage in the shapeshifting spirit realm. “If there was a test to take I’m sure he could end up being a Tolkien scholar himself,” Salisbury says of de Plater. The point is: Monolith’s Tolkien nerd credentials are beyond doubt. And since the development of Shadow of Mordor, they have held cross-disciplinary meetings to try and squeeze ever more lore into the games. So how is a studio as reverent of Tolkien as this willing to make such dramatic ripples in his universe? Somewhat ironically, the answer to that is rooted in his writing, too. “As a team, it was required reading in a lot of ways to go through his letters to the editor,” Salisbury says. “There was one line that that we rallied around, that really stood out to us as an entire studio. And it basically said that he created many parts of this universe in such great detail – The Hobbit, The Lord of the Rings, all the appendices – but that there were trails for other creators. 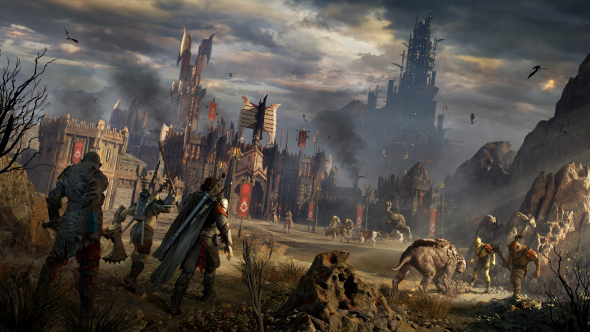 Monolith’s perceived mandate from Tolkien has led them to colour in the corners of Mordor in greater detail than ever before. The volcanic country of their series is now rich with orc tribes and culture. But Shadow of War finds them looking outside its borders, too: the game begins in Gondor, at the siege of Minas Ithil. Perhaps they would like to apply their expansionist, sometimes controversial approach to Middle-earth elsewhere. Can they envision taking the series that started with Shadow of Mordor out of Mordor? “Sure,” Salisbury says. 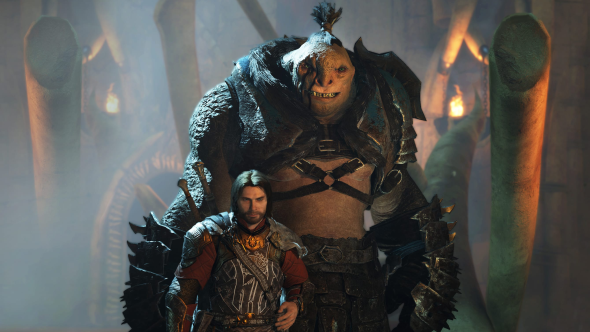 “Right now I certainly think it’s possible, although at the moment we’re just so focused on Shadow of War that I’m not sure we’ve had many opportunities to think outside of that.